The resultant force acting on an object can cause objects to accelerate or decelerate. 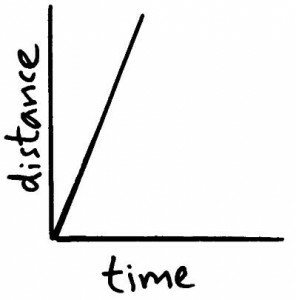 The gradient of a distance-time graph represents the speed of the object. 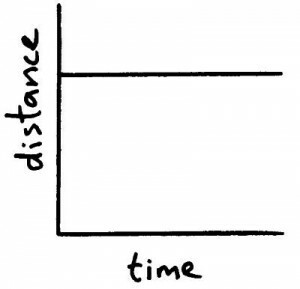 Graph for a slow moving object (small gradient). 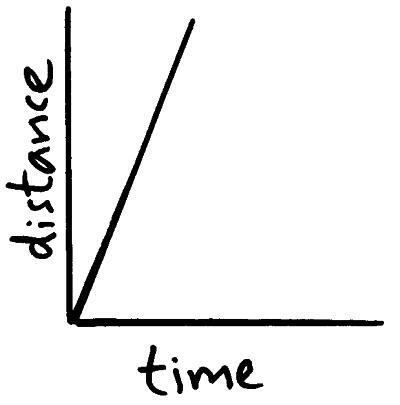 Graph for a fast moving object (steep gradient). 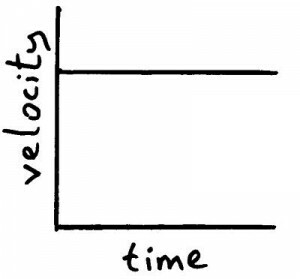 A speed only has a size like 20 m/s but a speed in a particular direction like 20 m/s left is called a velocity. 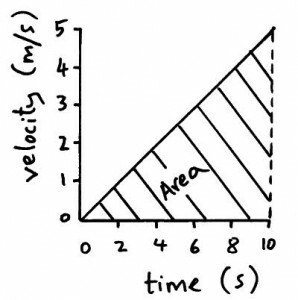 The acceleration of an object is measured in metres/second2 ( m/s2). Graph for object moving a constant velocity. 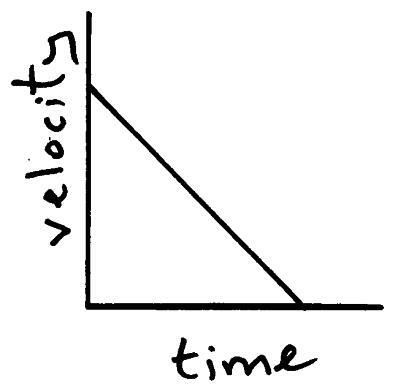 Graph for an object decelerating. 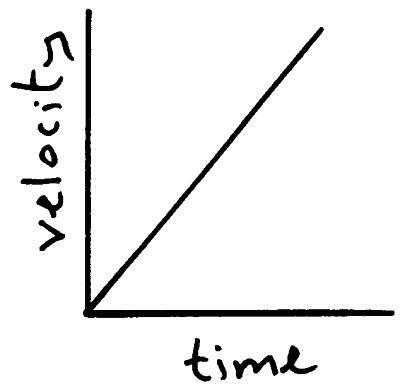 Finding the gradient of a velocity-time graph gives you the acceleration of the object. The greater the gradient the greater the acceleration. 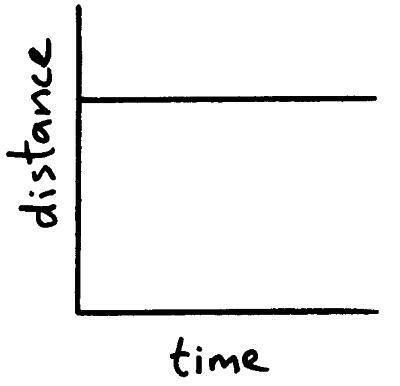 The distance travelled by an object can be found from the area underneath a velocity-time graph. 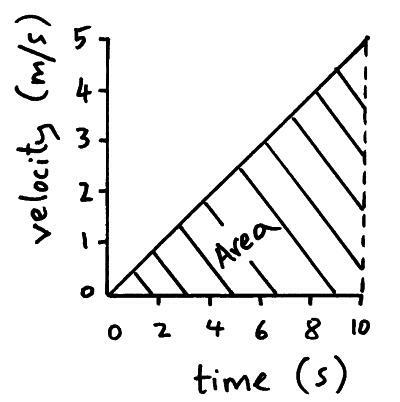 The area underneath this graph is a triangle. The area of a triangle = 0.5 x base x height = 0.5 x 10 x 5 = 25m. 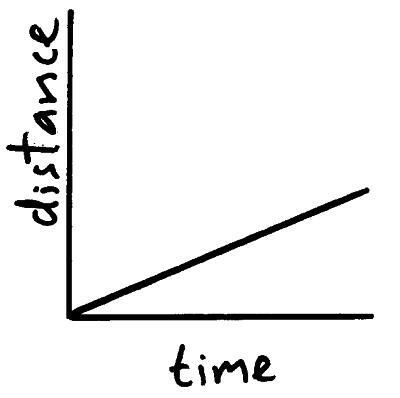 The distance travelled by the object is 25m.